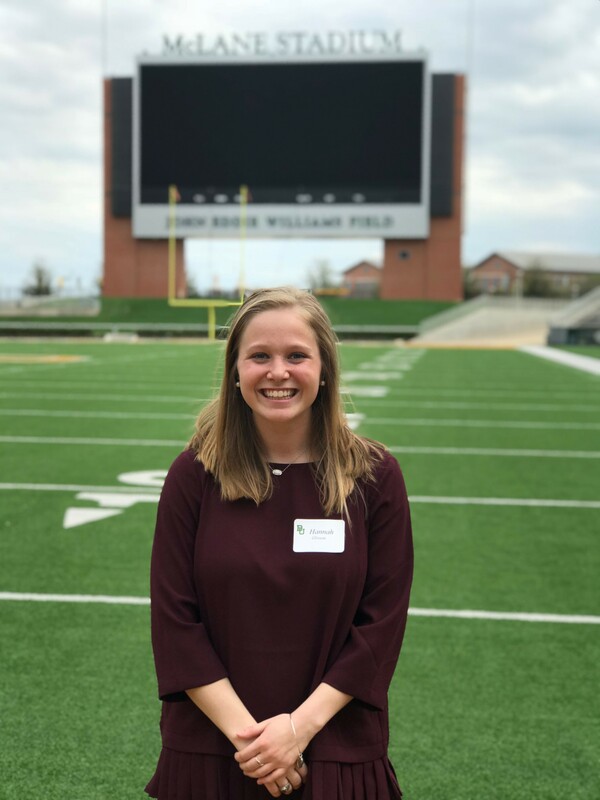 The Graduate Apprentice is a current student in the Higher Education and Student Affairs master's program at Baylor. The Graduate Apprentice works closely with the Program Director to provide guidance for the College Council and coordinate programs for the College that build community for Teal residents. Hannah Glisson is originally from Bahama, North Carolina. She graduated from Virginia Tech in May of 2018 with a B.S. in Industrial and Systems Engineering and a minor in Leadership and Social Change. While at Virginia Tech, Hannah worked with New Student Programs and learned to love knowing and mentoring college students, which is what led her to pursue grad school for Student Affairs! Hannah enjoys reading, collecting coffee mugs, listening to country music, and doing just about anything outdoors. She can’t wait to get to know the Teal and Baylor community! If you are interested in learning more about the Higher Education and Student Affairs program, please click HERE.